Melanie Ann Welburn Kendall unexpectedly and sadly left us on March 13, 2013. She was 38 years old when she had a skiing accident on Bald Mountain in Sun Valley, Idaho. Her death was immediate and without suffering, for which all are thankful. She will be greatly missed by her family and friends and remembered as forever young. She was a precious, beloved wife, mother, sister and daughter on earth and is now one of God’s sweet angels. She was born on May 6, 1974, in San Jose, Calif., to Ross and Sheryn Welburn, the second born of three daughters. She moved to Santa Rosa, Calif., with her family in 1979, where she attended Madrone Elementary School, Binkley School and Rincon Valley Junior High. In 1988, her family moved to Hayden, Idaho, where she attended Coeur d’Alene High School and then Upper Columbia Academy in Spangle, Wash. She went to college at Walla Walla College in Walla Walla, Wash.
Melanie married Troy Austin of Spokane, Wash., in 1999. Their children are Madeline Elaine and Alexander Barrett Austin, now 12 and 10 years of age. In 2009, she married John Kendall of Spokane, Wash., and their son is Jack Oliver Kendall, 3 years old. Melanie worked for the Sun Valley Co. at River Run Lodge. Skiing was her lifelong passion, both snow and water. She loved to go boating, walk and hike, and was nicknamed Mighty Melanie by her companions. She was an award-winning Long Arm quilter and licensed aesthetician. She leaves a fine collection of quilts for her family. Her many friends and family will miss her “facial parties” and expertise in skin care. She participated in Book Groups in Sun Valley and Spokane, Wash. Her family and friends were waiting in line for her exceptional, colorful, knitted hats. Her artistic talents and vivacious personality endeared her to all. Woe to those who became victim to her quick sense of humor, powers of observation and mimickry. All who knew Melanie found her bright, smiling and vibrant. Her happiness, enthusiasm and loving spirit will be missed so much. Her untimely death leaves all in her family with broken hearts, to grieve and miss her always. May God show them comfort and mercy. Melanie leaves her grieving husband, John Kendall, stepdaughter Murphy Kendall, Madeline, Alex and Jack-Jack. She was the precious, beloved daughter of Ross and Sheryn Welburn of Hayden, Idaho. Her loving sisters are Heather Welburn of Boise, Idaho, and Wendy Trevino of Coeur d’Alene, Idaho. 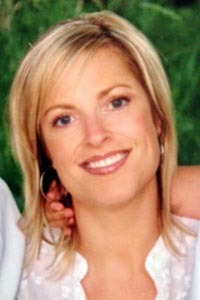 Her nephew is Leif Boyer and nieces are Monica, Sydney and Justine Trevino. John’s parents are Robert and Jean Oliver Kendall of Spokane, Wash., and Sun Valley, Idaho. Her grandparents, all having passed on, were Chad and Justine Welburn and Leon and Gloria Barrett. Burial will be at 2 p.m. Wednesday, March 20, at Hailey Cemetery in Hailey Idaho. A celebration of her life will be given by her friends and the Sun Valley Co. at 6:30 p.m. at the River Run Lodge. Her family sends their sincere thank you to them for their generosity and kindness. All other arrangements are by Wood River Chapel in Hailey. A memorial for Melanie will be held in Hayden, Idaho, at a later time. Friends are invited to leave condolences, share memories and light a candle at  www.woodriverchapel.com. In lieu of donations, please send a photograph of Melanie and a short story of time with her for a notebook for her children. This will remind them of who she was and her love for them and life.